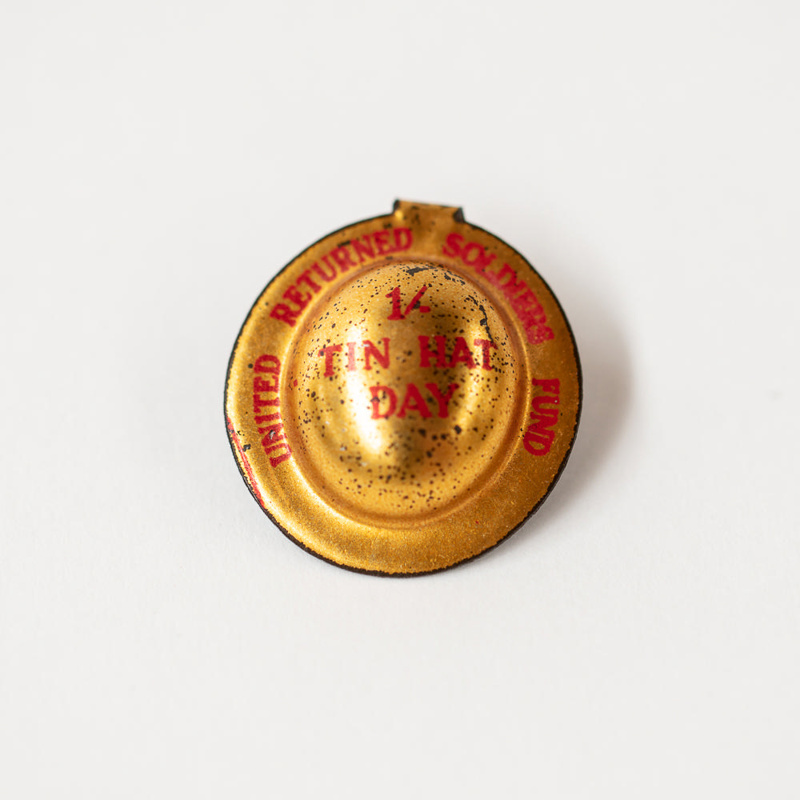 Donated by the Foster Family of Thornbury, this tin hat badge was a fundraising badge for the New Zealand United Returned Soldiers Club. The badge cost 1/-, of which the proceeds would have gone to supporting return service personnel and their families. Tin hat day began in South Africa in the 1920s. 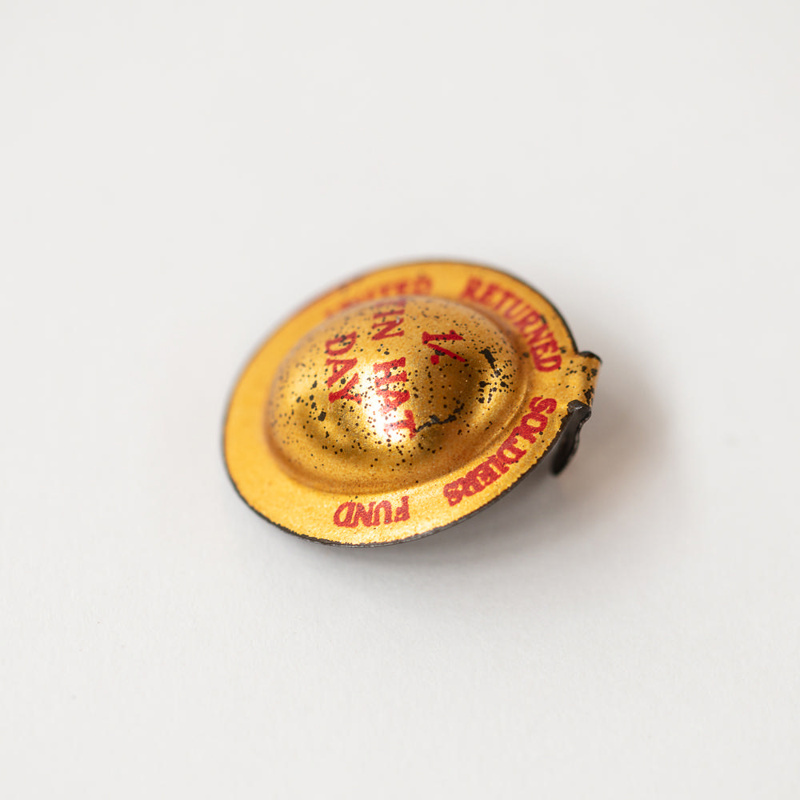 Printed onto hat in red 'UNITED RETURNED SOLDIERS FUND 1/- TIN HAT DAY'.